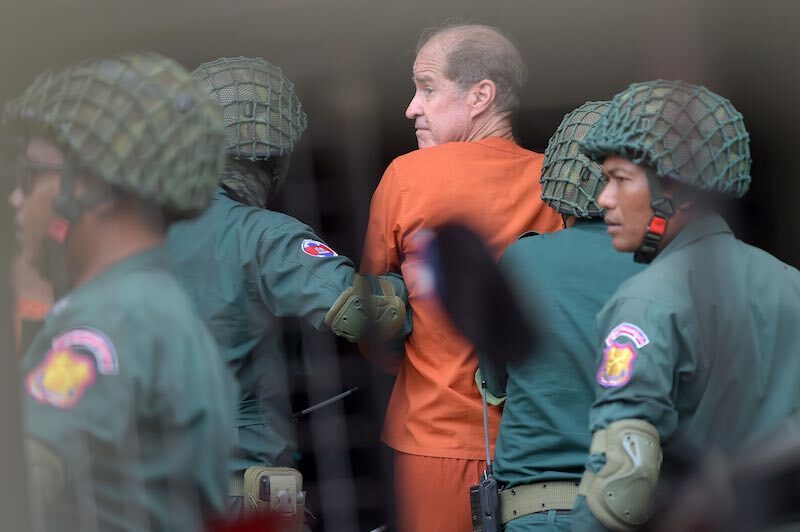 In the early days of his landmark espionage trial, Australian filmmaker James Ricketson carried a book – “The Faithful Spy” – into the courtroom. 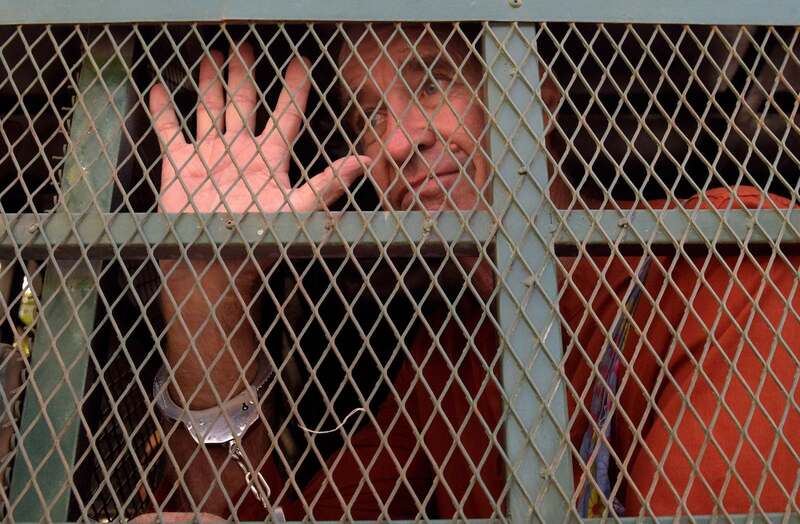 It left Cambodian reporters shaking their heads, but it was a nod to Ricketson’s ironic sense of humour – a trait that endured throughout his 15 months in prison. Last week, he was sentenced to six years behind bars. 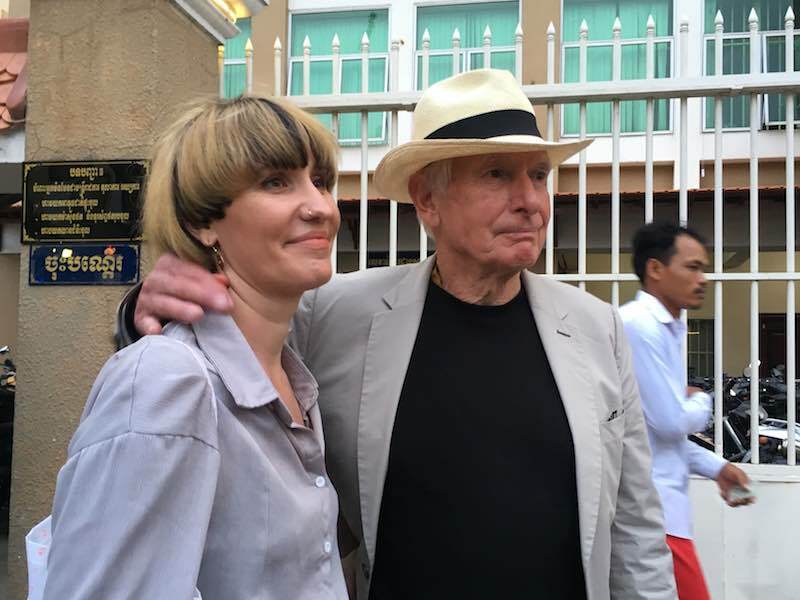 The 69-year-old filmmaker was arrested in Cambodia a day after he flew a drone above an opposition party rally. The opposition leader would later be accused of treason and his party forcibly dissolved by the Supreme Court – headed by a member of the ruling party. But at the time, the Cambodia National Rescue Party – and Ricketson’s clear support for it – was perfectly legal. Ricketson’s detention, it seems, was an arrest in want of a crime. His case was marred by a number of irregularities that in another country might see a case thrown out. There is a sense that the defendant is already presumed guilty and must prove their innocence … At times, the lengthy proceedings resembled absurdist theatre. He was detained for several days before being charged – far longer than the maximum 72 hours under the law. The investigating judge told him to “be patient” and that he would have a chance to submit exculpatory evidence in the investigation stage. He wasn’t given the opportunity, and the case was whisked to trial. The prosecutor, Sieng Sok, held court. It was subtle, but there were moments when the panel of three judges appeared to defer to him. The legal heavyweight has spearheaded a number of high-profile political cases, including the “treason” accusations against opposition leader Kem Sokha, who has been imprisoned for the past year. Cambodia’s judicial system loosely follows the French civil code, but in its Cambodian iteration, there’s a sense that the defendant is already presumed guilty and must prove their innocence. It is well-documented that Cambodian judges are deeply beholden to the interests of the ruling party, particularly in politicised cases. Ricketson’s trial, which spanned more than seven days, was one of the longest court observers had seen. At times, the lengthy proceedings resembled absurdist theatre. Watching clips from his films and documentaries, one observer quipped the early days were more like “the James Ricketson film festival”. Hollywood director Peter Weir testified as a character witness for Ricketson’s defence, though judges seemed unfazed by his star power. In the face of the “evidence” presented – two emails and a dozen photos of police – it seemed laughable that Ricketson might be mistaken for a spy. But when the judges turned, in the final days of the trial, to Ricketson’s criticisms of Hun Sen, the mood in the room soured. Shoulders tensed. We bristled when Ricketson was asked to read aloud an email in which he said the opposition was “plotting” to win the election – not because any of it even remotely resembled espionage, but because it put very clearly on display what the trial was all about. The article Ricketson was charged with under the espionage law refers to collecting information that could jeopardise the national defence. Such vague terms can be spun to the ruling party’s advantage. “Collecting information” doesn’t specify that these need be state secrets or classified information – as the trial showed, a handful of photos of riot police in a public park will suffice. In Hun Sen’s regime, urging for a change of leadership could lead to civil war, a return to the Khmer Rouge era – or so he says. In the context of this twisted rhetoric, it appears even criticising the strongman could be interpreted as prejudicing Cambodia’s national security. There was a sense that the outcome in Ricketson’s case was pre-determined. The judges had written his part, but Ricketson wouldn’t stick to the script. After a day where Ricketson gave combative answers to loaded questions, he changed his tune and apologised to Hun Sen, and the court. Observers questioned whether he might receive a suspended sentence, or whether the court would seek a conviction to “save face”. Foreign Minister Marise Payne’s response to Ricketson’s conviction was slammed on social media. Some called it “weak”, while others expressed concern that Australia had lent legitimacy to Cambodia’s deeply flawed judicial system. This week, the Department of Foreign Affairs and Trade said the Australian government “cannot interfere in judicial processes in another country”. Ricketson’s conviction is galling to Australian observers, who generally enjoy the right to a fair trial and would expect for such ludicrous allegations to be thrown out. But sadly, for Cambodians, the idea that you might be arrested on politically-motivated charges and imprisoned for years with no evidence is not an anomaly, it’s a fact of life. Take, for example, the case of two former Radio Free Asia journalists, Uon Chhin and Yeang Sothearin. They were charged under the same espionage laws as Ricketson, but face even harsher sentencing – up to 15 years. 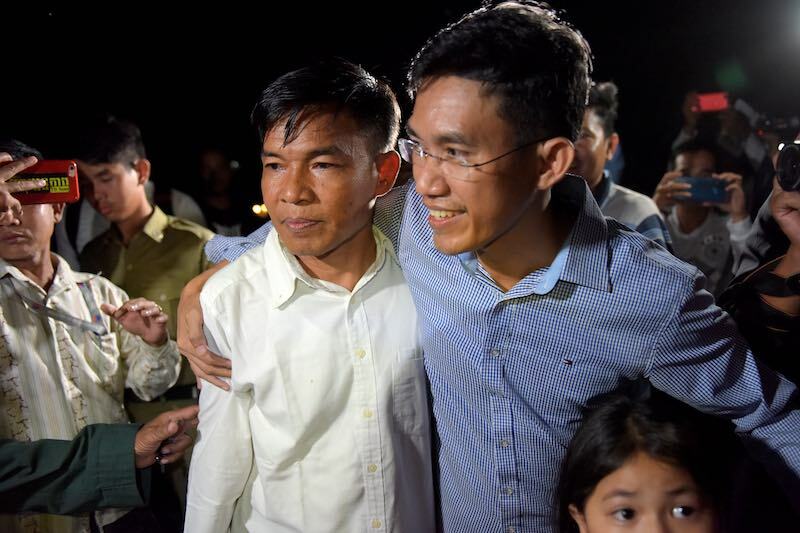 Sothearin was released on bail in a recent post-election amnesty, where some two-dozen political prisoners were released in the past few weeks. It’s a cycle of repression and relieving pressure that has been repeated ad nausea in Cambodia’s recent history. “It was really hurtful, for me and for my family. Especially for my two kids,” Sothearin said. Wanting to protect his children from the harsh reality of his nine-month incarceration, he told them he was “studying at university”. His son couldn’t understand why his dad had been wrenched away from him. “He lost warmth, he lost trust in his life,” Sothearin said. For political prisoners, whether they are jailed or freed turns on the whim of Hun Sen. There is a very real heartache that comes from such a system.